Vivo V7 Plus Pros and Cons: Top 12 Solid Reason to buy and Top 6 reason to not buy it. Vivo Smartphone which has branded himself as a camera smartphone now launches a new smartphone, Vivo V7 Plus, into the market. 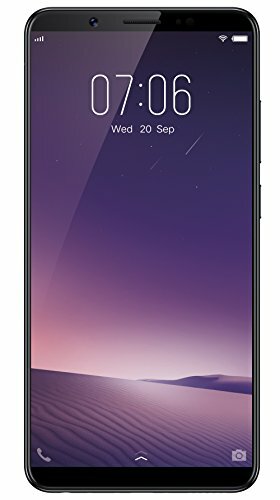 So let’s discuss its price, features, full specification and competitors of the Vivo V7 Plus. Additionally, we will also look at competitors of the Vivo V7 Plus in today’s market. Vivo brought Vivo V7 Plus in one variant with two colours (Black, Gold) and it is available on Flipkart and Amazon with price tag of Rs 21,990. Like LG Q6 & Q6+, V7 Plus also comes with Full vision display i.e., 18:9 screen ratio. Build quality is good and 2.5D display protected by Gorilla Glass. The 24 MP front camera is the highlight factor of the smartphone and vivo really done well in this segment. The pictures which were captured comes with good details and less noise. Also, the colour production was good but with every selfie, you will get the fair faces. Even it performs well in low lighting conditions. Thus, it is a best seflie camera phone under 22,000 or 25,000. The 16 MP rear camera capture images of good details with good noise handling. The colour production was also very good. Responsive fingerprint and can be used to take selfies and open lock apps. No Hybrid Sim slot which means you can use two sims as well as microSD card. The feature like Split screen will be useful to you. Sound output from the speaker is loud enough. Speaker Grill present at the bottom which is good for the sound output. All necessary sensors are given. Even, Gyroscope is present. It comes with dual-band WiFi which means that you can connect to 2.5 as well as 5 GHz WiFi. Surprisingly, Many heavy games run with no lag. Asphalt 8, MC5 were lagging at some higher frame. There is no heating issue with this device. Since it is camera phone but still, it lacks for better picture shots in low-light or indoor with the rear camera. The video recording is limited to 1080p while other smartphones even with lesser price come with 4K recording. There is no stabilisation present in the camera. The display is not full HD but it is somewhat little more than HD(720 x 1440). It is a costlier phone but still, vivo gives Snapdragon 450. Vivo provides large screen for entertainment but they didn’t give support for 4K videos. Interface and camera app was totally similar to the Apple’s iPhone. There is USB Type B port rather than Type C port. So you will not get a faster charging, & data transfer via this port. The phone is large but for ease, features like one-hand mode and gesture are absent. No fast charging support. It takes about 2 hr to charge a 3225 mAH battery. NFC, & Infrared are absent. The result of Vivo V7 plus vs Zenfone 4 Selfie Pro- Asus Zenfone 4 selfie pro is better than Vivo V7+. (Result is overall but in term of Selfie then vivo v7+ is better). Wait for the comparison of the Samsung Galaxy A5(2017) vs Vivo V7 Plus. If you know any else or better competitor of Vivo V7+, then let us know via comment. Still, any doubt? Feel free to ask via comment.